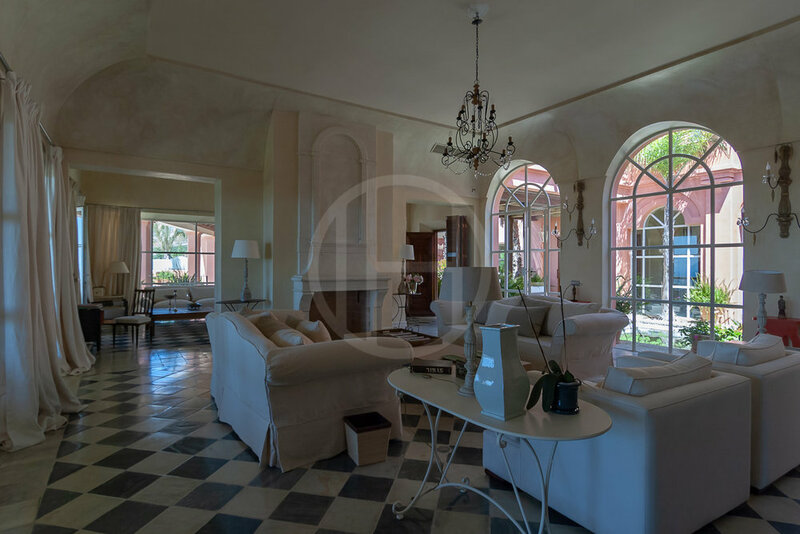 Magnificent new Andalusian style villa built on the highest located plot in an exclusive gated villa community. 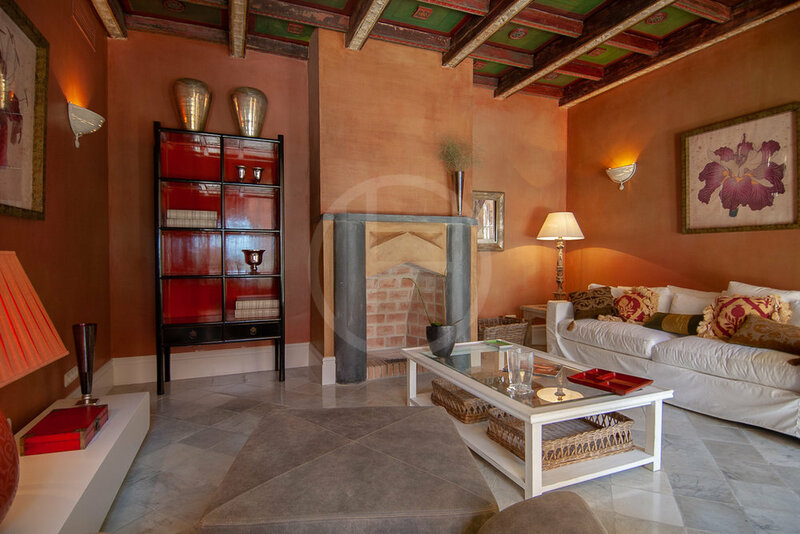 The house has been built to the highest standard and with all modern comfort, yet is cleverly and tastefully design combining contemporary European style and antiques with Moorish influences. The layout has been wisely done making such a large home feel comfortable, intimate, spacious, bright and elegant. Built around 2 patio´s, this home feels very special due how natural light enters the different living areas. The master bedroom has a large dressing room and his/hers bathroom. Further 4 mixed style spacious bedroom suites. The villa has high ceilings, lovely details and a stunning entertainment areas with large covered and open terraces with BBQ and al fresco dining area next to the lovely infinity edge pool. Furthermore, the villa has a fantastic SPA with heated indoor pool and jacuzzi, turkish bath and sauna and spacious fully equipped private gym. The property has lovely lush gardens fountains, different fruit trees and a water lily pond. 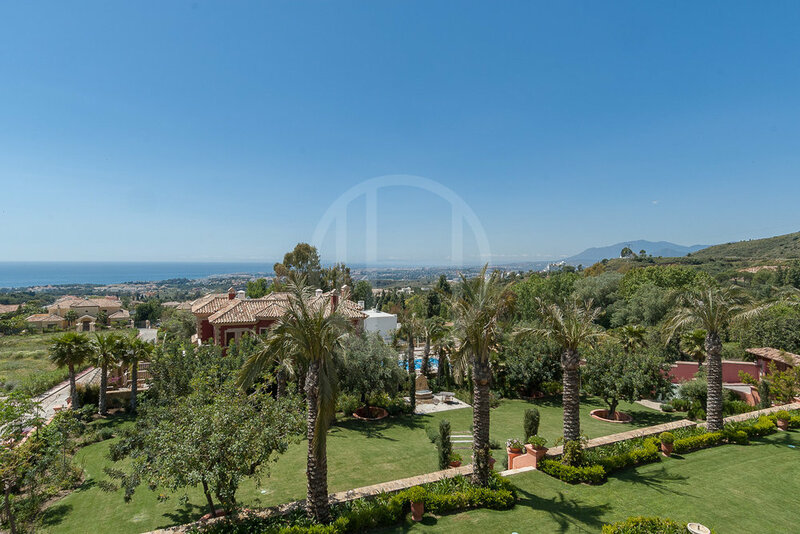 Los Picos is a gated and very private villa community set hillside bordering to a natural and protected green zone area of the lower slopes of Marbella´s emblematic La Concha mountain. 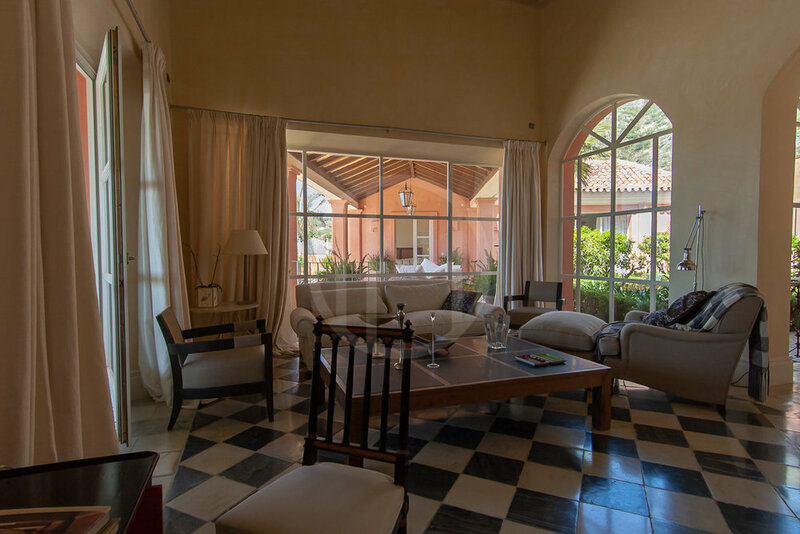 The area is 5km from the city center and enjoy great walking and hiking areas, a private international school is also within a short walking distance, and its just a short drive down to the centre of Marbella.